BB cream or blemish balm creams are big in the East. They have only recently been launched in the Western world. BB cream is suggested to be an all in one facial cosmetic that can replace your serum, moisturizer, primer, foundation, concealer and sunblock. I bought some to try as well. The one I found only comes in 2 shades. 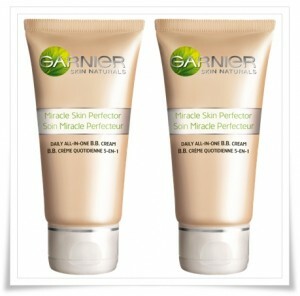 It is by Garnier and is promoted to renew, brighten, even skin tone, hydrate and protect skin with an SPF 15. Still not sure if these claims are true. 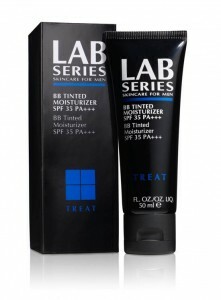 Lab Series has launched a BB cream for men. It boasts an amazing ten benefits…from coverage, hydration, brightening/even tone, shine control, an anti-wrinkle capability, firming/toning, pore reduction, redness reduction, barrier repair and an SPF 35. However it only comes In one shade…but uses something called Tagra technology “which customises in colour to match all skin tones.” Any guys out there willing to try this? This entry was posted in Cosmetics, Men and tagged BB cream by Trixxie. Bookmark the permalink.